Dr. A. Jay Chauhan is a board-certified otolaryngologist and facial plastic surgeon in Chicago’s northwest suburbs of Hoffman Estates and Elk Grove Village. He is a former section chief of Otolaryngology-Head and Neck Surgery at AMITA-Alexian Brothers Medical Center, a former chair of the Council of Regional Representatives in the American Osteopathic College of Ophthalmology and Otolaryngology – Head and Neck Surgery (AOCOO-HNS) and a past CRR board member for the AOCO-HNS. 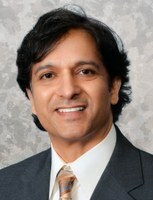 Dr. Chauhan also has served as president of the Chicago Laryngological and Otological Society. Over the years, he has served on several hospital committees, non-for profit and volunteer organizations, and state and national medical organizations in various capacities. Dr. Chauhan is a former clinical assistant professor at Midwestern University where he received his DO. He was awarded a fellowship from the AOCOO-HNS. At the Chicago Medical Society, Dr. Chauhan previously chaired the Public Health Committee as well as the Physician Advocacy Committee and the Subcommittee on Joint Sponsorship. His other participation includes serving on the Communications/Technology Committee, the CME Committee, the Healthcare Economics Committee, and the Membership/IMG Committee. Dr. Chauhan represents CMS as a delegate to ISMS.